Are you feeling like you’re dragging through your day? Maybe your workouts are taking more of a toll on you. Either way, vitamin supplements have been known to help. They can help you feel more energized and stop daily burn out. But not just any vitamins will do. That’s where NutraGlow™ comes in. NutraGlow™ has vitamin supplements to help you have more energy and even become more mentally resilient. By giving our body what it needs we all feel better. Their supplements are taken sublingually (which means you take them by dripping them under your tongue.) By taking them this way, they act faster, and are absorbed directly in your bloodstream. Unlike pills that dissolve in your stomach, and lose nutrients from acids, NutraGlow is absorbed directly! NutraGlow makes sure that they’re supplements are safe and effective. They’re produced in the USA in a US Food and Drug Administration registered facility. NutraGlow products are made by pharmacists, so you know you can trust these vitamins. 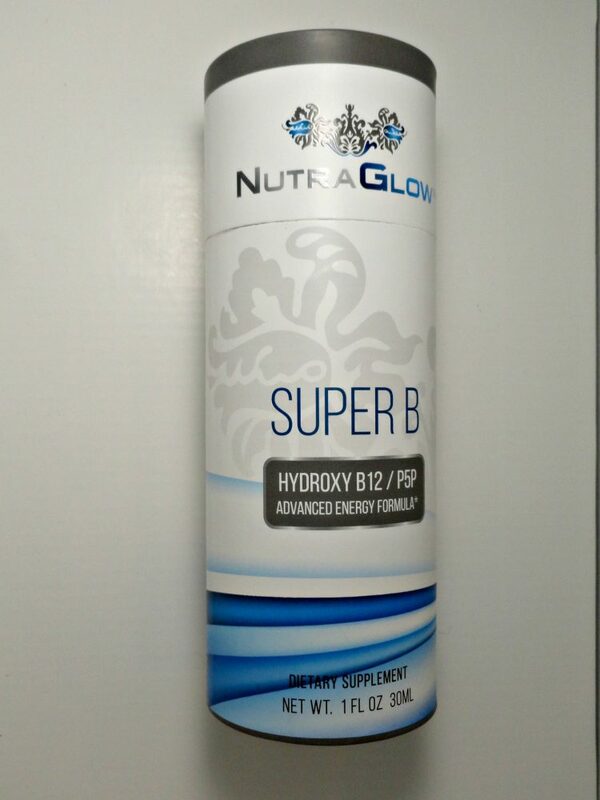 My husband and I both take NutraGlow Super B. 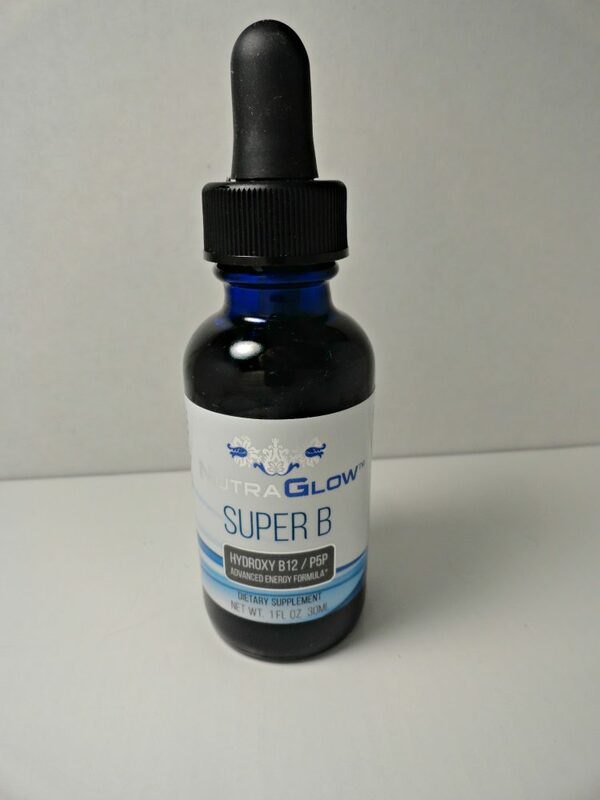 If you’ve ever been tested for B vitamins, and have been found to be lacking, then Super B is surely for you! 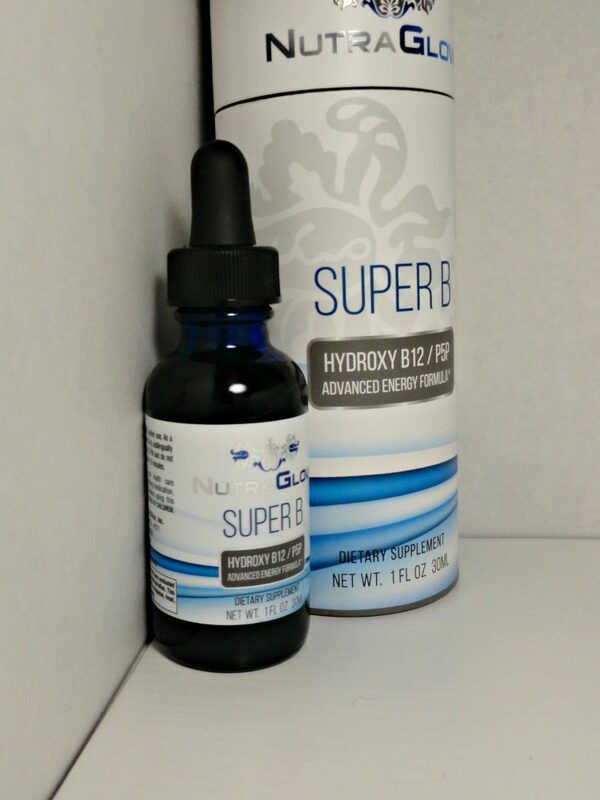 My husband used to have to get B12 injections, but since taking Super B, he doesn’t need to anymore. This supplement includes Hydroxycobalamin which is B12. It’s what your body needs to get in gear, and optimize your brain function. Are you looking to kick your weight loss into high gear? If so, then NutraGlow’s Super Lean supplement is for you. This supplement has natural nutrients to help you knock off pounds, and gain muscle. It also has L-Theanine to boost your mood enhancing neurotransmitters, and reduce stress. Just like Super B, you take Super Lean sublingually twice a day. (Take 0.5 ml) Make sure to take the second does before three in the afternoon. Also avoid food and drink for fifteen minutes after consumption. Then reap in the health benefits, and enjoy a healthier life.